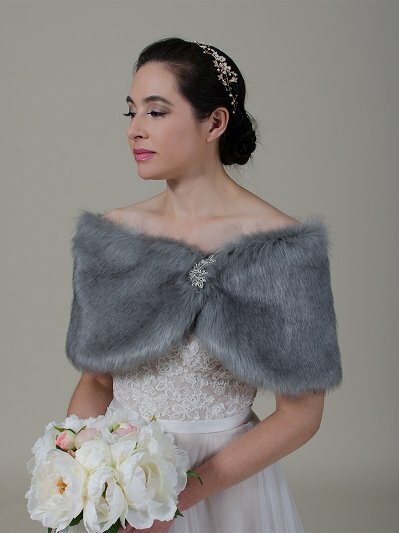 Beautiful faux fur wrap made of luxurious and soft faux fur in gray color. It is the high imitation of the real fox fur. Fully fined with satin. It's perfect for wedding or other special occasions.